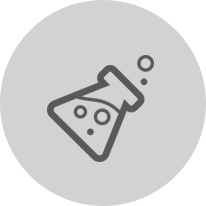 Mixmate is an automated chemical mixing system with automated recordkeeping. 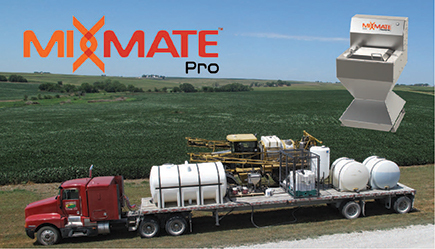 Mixmate is designed to be portable for your spray tender trailer. Fast mixing speeds lower operating costs of application equipment. Accurate measurements and records lower the risk of mixing errors and lost inventory. 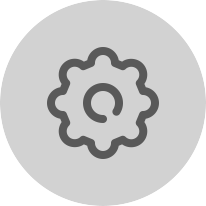 The Intersect cloud service connects with the Mixmate app to give office access from a web browser to the Mixmate equipment in the field. Intersect provides data backup for data reliability. Create work orders to improve field efficiency. Powerful reporting features ease data management. Mixmate is designed for large and small operations. Flexibility is a key feature to build a system that fits your needs. Start with a basic system and new features can be added at any time. A fully automated Mixmate system compares well with high-end manual systems from our competitors. The Mixmate app calculates and records blend information. Products are measured from jugs and minibulks and blended automatically to streamline field mixing operations. Mixmate offers the flexibility to adapt to changing field conditions. One of our patented features makes it easy to adjust the blend for changing conditions such as weed size or wind speed. The products in the blend are adjusted to match the current conditions. Small weeds may need less herbicide or a large weed a little extra. Mixmate calculates the blend and accurately measures the products to eliminate calculations and decision-making by the operator. Today's complex chemical mixtures usually have a combination of bulk, jugs, and dry products. The high value products usually come in small packages. Mixmate is the only system designed to measure and process these products quickly. Jugs are processed in about 12 seconds. 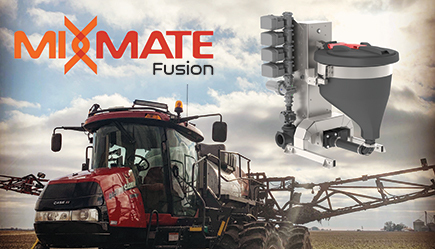 The new Mixmate Fusion has a high flow rate rinsing system to ease dry product measurement and induction. If you are mixing in the field, simplify the job with Mixmate. Automated mixing with automated records. . . done right and done fast. Get the most out of your sprayer investment and make spraying fun. Mixmate is the best portable ag chemical mixing system available in the world today. We have been incredibly blessed by our first year customers. The team members at Smith Land Company are sharing their experience with Mixmate in this video. Thank you for sharing your testimonial and recommending Mixmate! This is a bold statement. We set out to build the best mixing system available. Affordability, ease of use, speed, and data quality are all factors considered in this statement. The engineering team behind Mixmate has optimized the hardware, electronics, and software to give you the best value and experience. We want you to compare Mixmate with other manual and automated systems. Our Mixmate Flow system is a great starting point to get into automation for about the same price as some manual mixing systems. Our Mixmate Inductor offers features that are not available in any other system. Mixmate is flexible and designed to grow with you. Accurate data is required on the farm today. Mixmate has the best recordkeeping system. Our Intersect cloud service connects data with the office. Intersect adds ease of use in the office and the field. Data connections with other farm management information systems are in development. We are working with AgGateway, manufacturers, and other software companies to develop standard communications between systems.